This young woman’s style is an amalgam of so many iconic looks throughout pop culture that symbolize anarchy, rebellion, and futuristic dystopia. She’s serving elements of The Girl With The Dragon Tattoo as well as Daryl Hannah’s character in Blade Runner, but she’s allowed her creativity to flow and made it uniquely her own. Even if it’s unclear what her prop of choice is here, this young woman proves that just a simple facial expression can be enough to make you think twice about tangling with her. 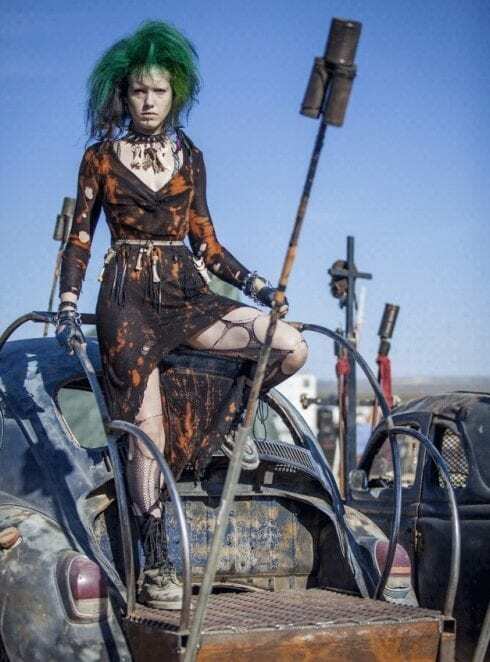 Everything about this image screams anarchy, from the deliberate rips in her fishnets to the badly rusted flatbed on the BMW that she calls her throne.